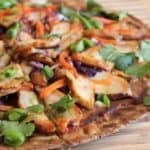 I present to you this amazing thai grilled chicken pizza! Because there is no better type of pizza. And you don’t bake it! You grill that bad boy. You know what that means? Susie, master of the flame, Guinness World Record holder in marathon grilling, and queen of the grill world is here to show you her mouth-watering recipe. I’m positive you’ve seen her blog, Hey Grill, Hey. (A pun-lover after my own heart!) 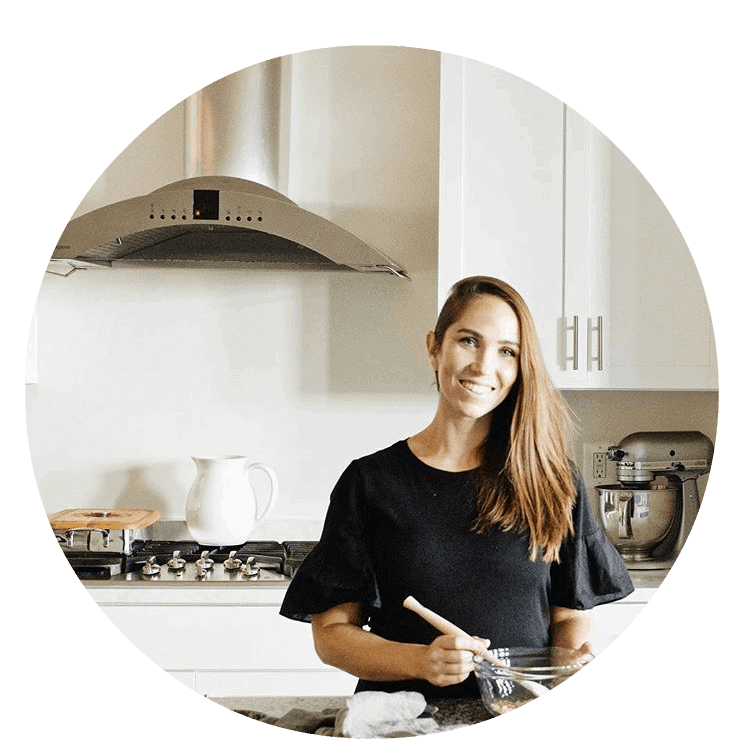 Be sure to subscribe to her blog for every grilling tip under the sun, and follow along with her on Facebook, Instagram, and Pinterest. Now, read on for her excellent food puns. It’s about “thai”m to start spring cleaning those grills and prepping for full blown grilling season! 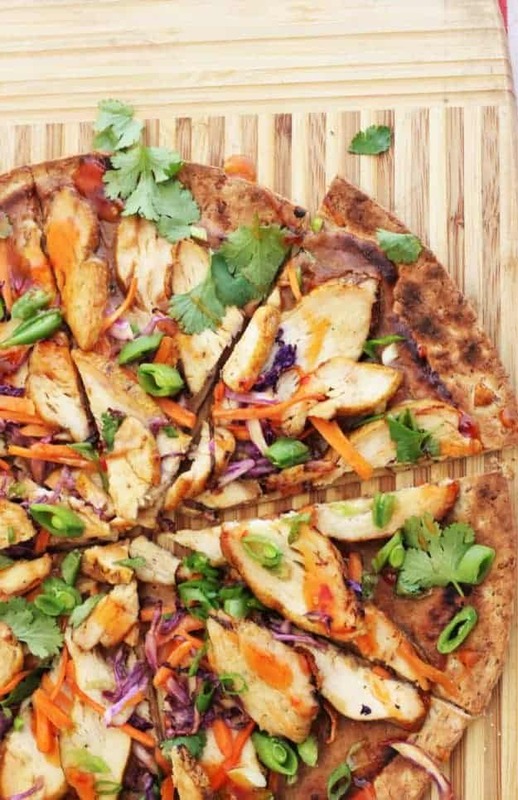 This thai grilled chicken pizza is layered with the perfect combo of flavors. A creamy peanut dressing, bright herbs and veggies, and lots of curry spiced grilled chicken. Bonus! This pizza is grilled up on pre-made crusts so it literally takes minutes to grill. Imagine this gorgeous pie coming off your grill for a tasty summer soiree. Can you see it? I can thaitally see it. P.S. Like this recipe? I’ve got loads more of fresh summer grilled goodies in the Hey, Fit Grill ebook! 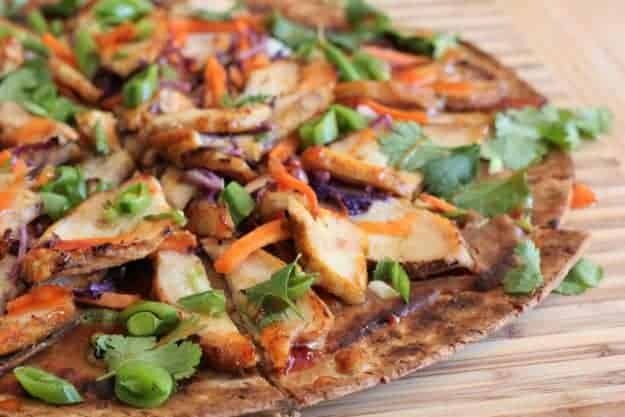 This Thai grilled chicken pizza is layered with veggies and creamy sauce, making it the perfect combo of flavors. *Special equipment: pizza stone or pizza pan. Large cookie sheets will work as well. Place your pizza stone on the grill and start your grill on high to preheat for a few minutes while you prepare your chicken. Season the chicken breast on all sides with the curry powder and place on the grill grate. Cook for 15-18 minutes, flipping once, until the internal temperature reads 165°F. Remove the chicken from the grill and place on a cutting board to rest. While your chicken is cooking, combine all ingredients for the peanut sauce in a blender and mix until thoroughly combined. Set aside. Thinly slice the grilled chicken. Spread a thin layer of the peanut sauce all over the top of the pizza crust. Top with the sliced grilled chicken, red cabbage, and carrots. Carefully transfer to the pizza pan and grill for 4-6 minutes until the bottom of the crust is crisp and the edges are golden brown. Remove the pizza to a large cutting board and sprinkle on the fresh cilantro and sugar snap peas. Drizzle with the thai sweet chili sauce, if desired. Slice into triangles and serve.